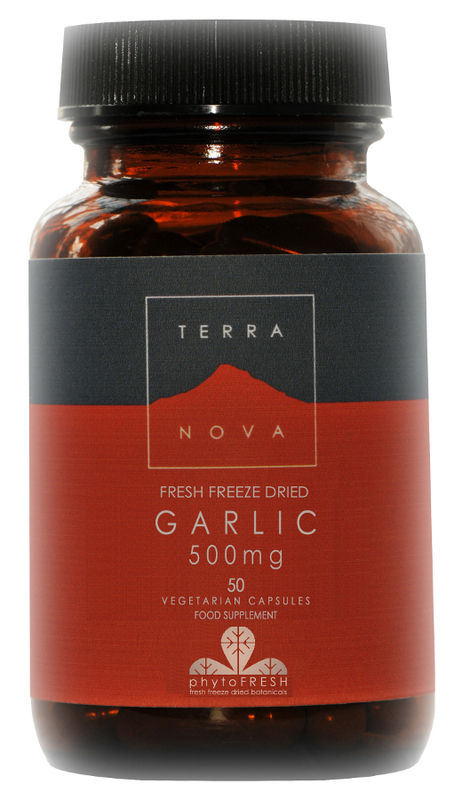 Suitable for vegans, these garlic capsules made from organic and fresh, freeze dried garlic (500mg per capsule) are fantastic food supplements for adults and 1-3 capsules should be taken daily with food. Garlic can have many health benefits as the sulphur compounds in garlic are active against a wide range of harmful microbes. Garlic is known for its antioxidant properties as well as maintaining healthy lipid management & circulation and maintaining healthy resistance. Typical assay range: 2000-4000ug allicin. Free from Wheat, Gluten, Corn, Soy, Yeast, Dairy, animal ingredients, Additives, Sugar, Colours, Flavours & Preservatives. Do not exceed stated dose unless directed by a healthcare practitioner. 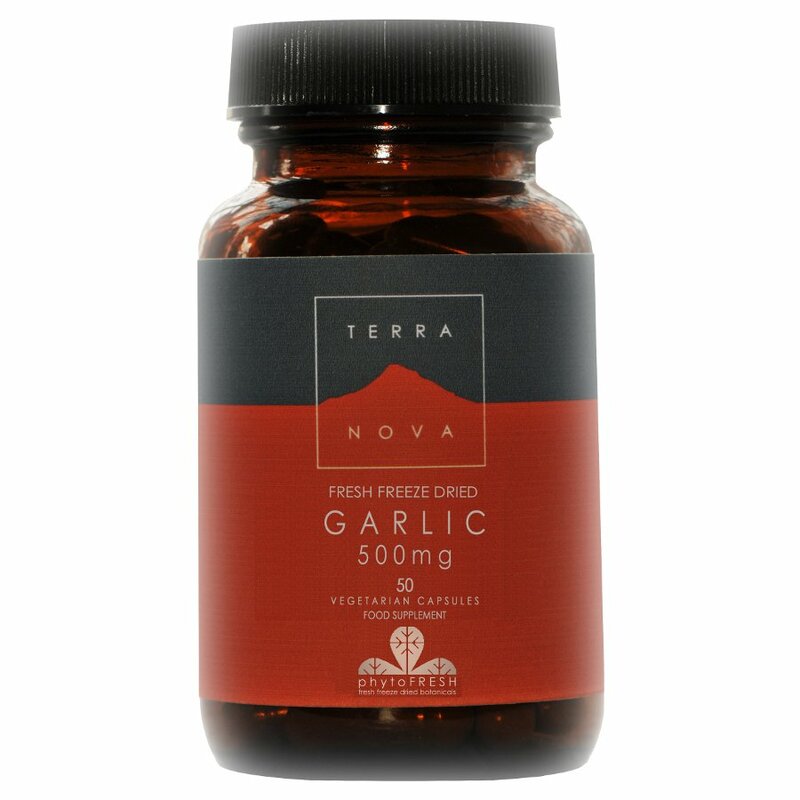 There are currently no questions to display about Terranova Vegan Garlic Supplement 500mg - 50 Capsules.